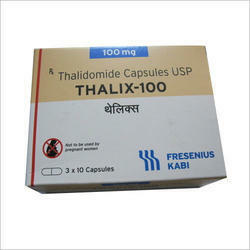 Providing you the best range of temozolomide capsules, thalix 100 mg capsule, imatib 100mg capsule, cudo forte capsule, ribavirin 200mg capsules and ceenu capsules with effective & timely delivery. Sai Distributors is the preferred name in the market that engages in proffering Temozolomide Capsules that contain temozolomide and can be availed in different packaging sizes. The proposed selection is extensively demanded in the market for its accurate composition, longer shelf life and superior effectiveness. 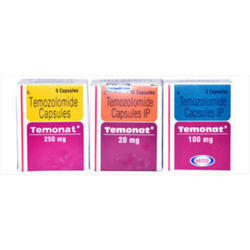 Temonat capsules offered by us are provided at budget friendly rates. 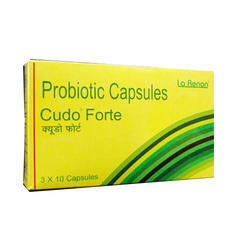 Description: It aids in supporting immune responses to avert inflammation in the body. Indication: This medication is indicated for multiple myeloma and erythema nodosum leprosum (ENL). 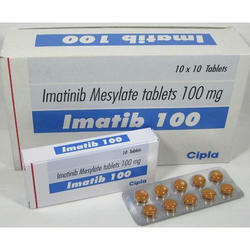 It is better to take Imatib 100mg capsule with food. 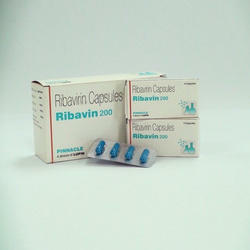 Ribavin 200mg capsule is used in the treatment of chronic hepatitis C .
Ribavin 200mg capsule is an antiviral that belongs to a class of medications called nucleoside analogues. It inhibits an enzyme RNA polymerase which is essential for viral replication and thus decreases the amount of Hepatitis C virus in the body thereby resulting in less liver damage and improved liver function. 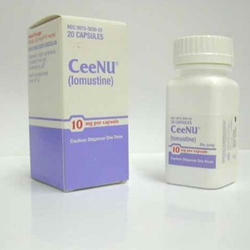 Ceenu Lomustine is used to treat various types of cancer. Ceenu Lomustine belongs to a class of drugs known as alkylating agents. It works by slowing or stopping the growth of cancer cells. Ceenu may be given orally. Following oral administration of radioactive CeeNU at doses ranging from 30 mg/m2 to 100 mg/m2, about half of the radioactivity given was excreted in the urine in the form of degradation products within 24 hours. Composition: 40 mgCeeNU is available in 10 mg, 40 mg, and 100 mg capsules for oral administration.